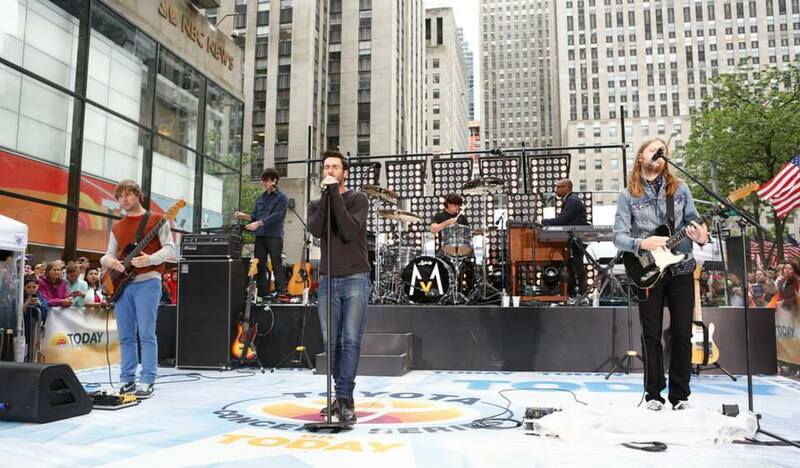 Maroon 5 stopped by NBC’s Today Show Friday morning to perform and promote their upcoming summer tour. Maroon 5 singer Adam Levine wraps up his coaching duties on NBC’s The Voice with the two-part season finale coming up next week. 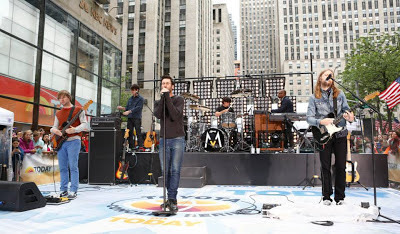 On June 22, Levine and Maroon 5 will launch a UK tour in Birmingham, before returning to North America for a series of summer shows with Kelly Clarkson that start August 1 in St. Louis.